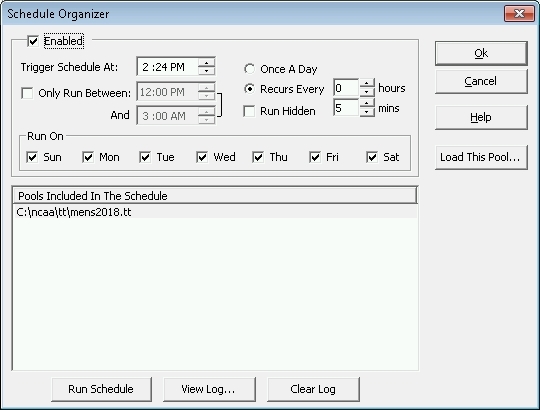 Make sure to shutdown the Tray/ scheduler and restart it with the updated settings in your schedule. Topic: Scheduler set to run every 5 minutes, but only runs once. Re: Scheduler set to run every 5 minutes, but only runs once. Yes , it will run the schedule whe TT2018 is also running. At least it has for me for many, many years. attached is my schedule setup. Scheduler set to run every 5 minutes, but only runs once. I get the same timeout issue on Larger files... I host myself on a server a Godaddy. I have a previous post here, but no solution. yes.. this is VERY frustrating.